Major Products: High-precision custom and standard plastic components for the electrical and electronics industries. Specializing in coil forms (bobbins), knobs and controls, headers, encapsulation cases, spacers and related engineered components. Over 4,000 standard catalog parts. 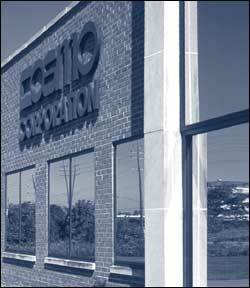 Facilities: Cosmo Corporation operates four facilities in the United States, Mexico and China including 180,000 sq. ft. dedicated to production and assembly. Cosmo's facilities also include a 15,000 sq. ft. in-house tool making operation. Cosmo Corporation's corporate headquarters is located in Cleveland, Ohio, USA. ISO 9001: Cosmo is ISO 9001:2008 registered. Cosmo achieved ISO 9002 certification in 1999, and ISO 9001 certification in 2002. Cosmo is registered under certificate number 21651-1. UL Recognized Molder: Cosmo has been a UL Recognized Plastics Molder (QMMY2) under number E136933 since 1990.